The cover that you wear on your bed can affect the style of your bedroom as well as your comfort while you are sleeping. If you are trying to choose between bedspread vs comforter, consider the difference between the two, both of them have their respective advantages and disadvantages. The features of one might make it more attractive to you from the other side. Here’s further review that can help you to make your choices. Bedspreads are single-layer bedding toppers that cover the entire bed right down to the floor and often cover the pillows as well. Many bedspreads have elaborate pompom, corduroy or chenille finishes, and some have fringe along the bottom edges. Solid colors are most common, although there are printed bedspreads available. A bedspread is a lightweight, decorative bed covering that can be used alone in warm weather or as a decorative addition to a comforter in cold weather. Bedspreads are ideal bed coverings during spring and summer months and add an extra element of style to your bed during fall and winter. 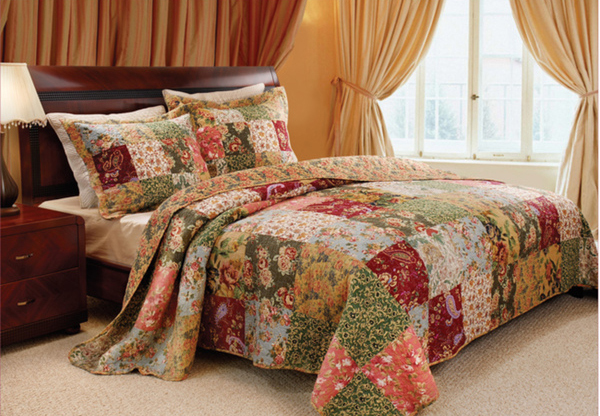 Bedspreads add warmth to your bedroom and offer a cozier night’s sleep. Swap them out with the seasons or simply to add a new pattern or color to your room when the mood strikes. It’s one of the easiest ways to add a little more softness (and style) to your life. 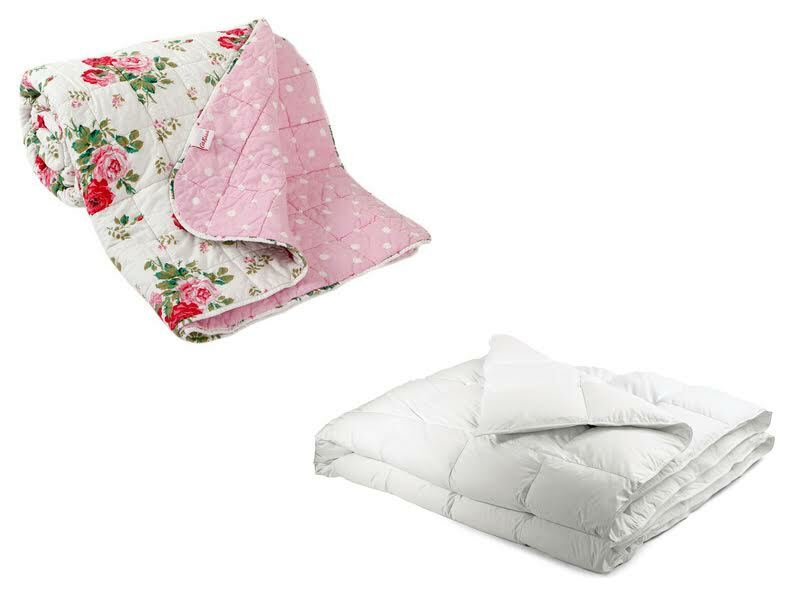 Comforter is thick and (sometimes) quilted, a comforter differs from a quilt in that colors are generally dyed and patterns are not embroidered. Comforters are filled with layers of material including polyester batting (a synthetic fiber), down feathers, wool or silk. The loft (thickness) of the filling determines the weight as well as the level of insulation. 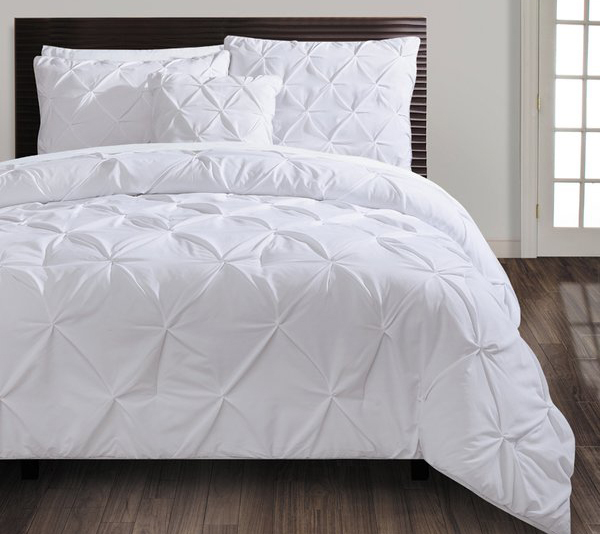 Comforters are stitched or quilted to secure the filling and to ensure that it is evenly distributed. They are intended to be the bedspread, sitting on top of sheets, but again, those who want to create a layered look should go ahead and do it. There are no cardinal rules to be broken in bedding. When shopping for bed linens, it is easy to become confused with so many names attached to what appear to be essentially the same item. Overall, bedspread and comforters, are all in the same family of bed cover, but each is unique in some way. Comforters and bedspreads are both bed linens that comprise the top layer of a bed, covering the sheets and any other blankets, but each has distinctive features that classify it as one or the other.